Timber had a great view while watching over our tree yard. 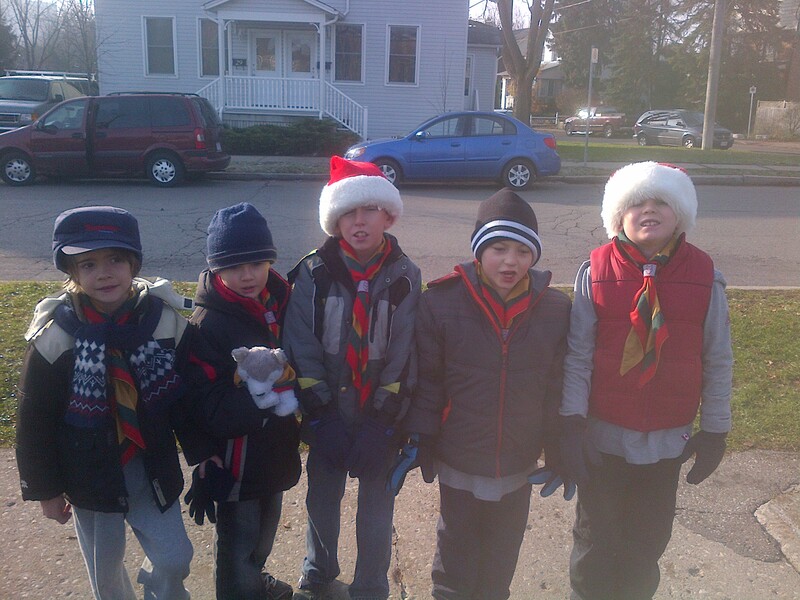 Timber joined some of our Cubs and Scouts for the 2012 Santa Claus Parade. He made it the whole way thanks to his fur coat! 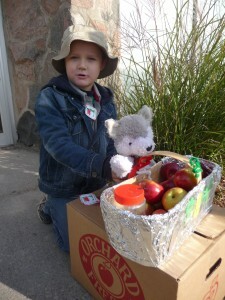 On Monday, Timber and I will be leaving to attend the 2010 Wal-mart Shareholders meeting in Fayetteville, Arkansas. 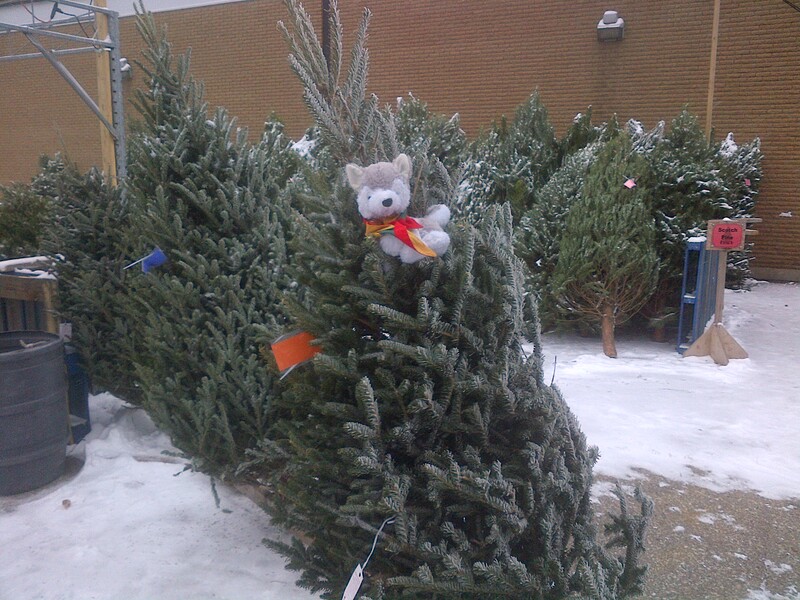 Check back in a couple of weeks to hear and see Timber’s adventures!! Timber participated with 11 of our leaders for a gruelling 16 hours of 1st Aid Training. 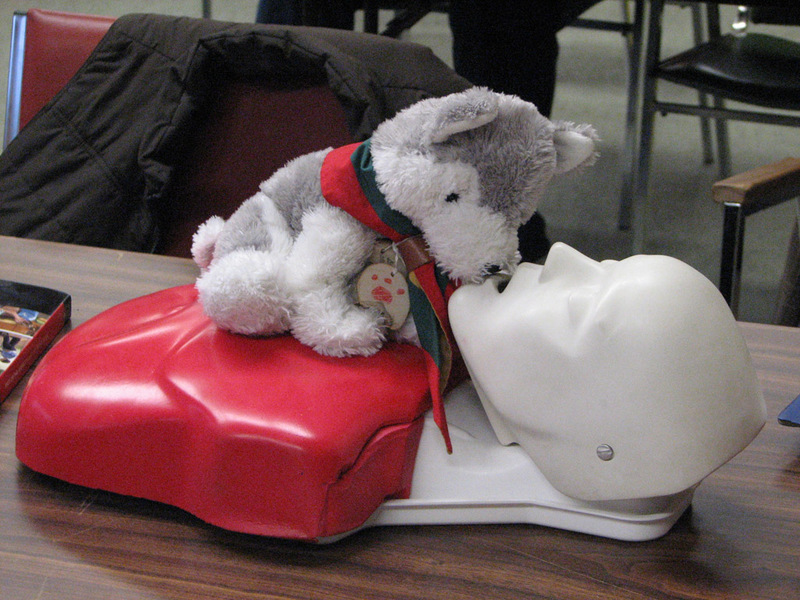 Timber’s favourite part of the course was learning CPR. He also really liked Snack Time. Everyone passed including Timber. 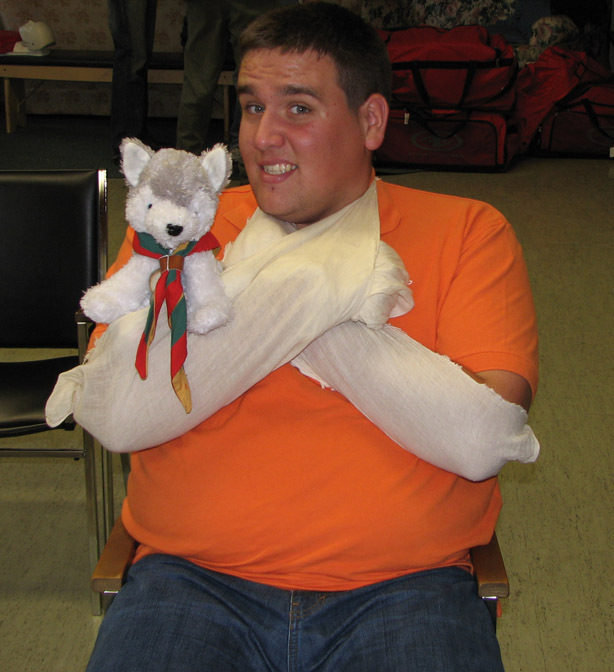 Timber ties a pretty mean bandage! Timber went to Haliburton Scout Reserve on Aug 15-22,2009. He had soo much fun. He went Mountain biking, canoeing, kayaking, wall climbing. Timber was a little scared while rapelling. He made it over the cliff but had to be pulled back up. He visited the Trappers Cabin and Survival Island. Timber made it through 3 thunder storms and is not scared of them anymore. We all had a good time in the Dominican Republic. Timber is sitting on a chair next to the pool enjoying a cold pineapple drink. 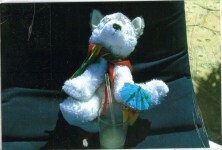 Many Cubs wanted to take Timbers place on our trip that cold week but he was the only one that could fit in my carry on bag. 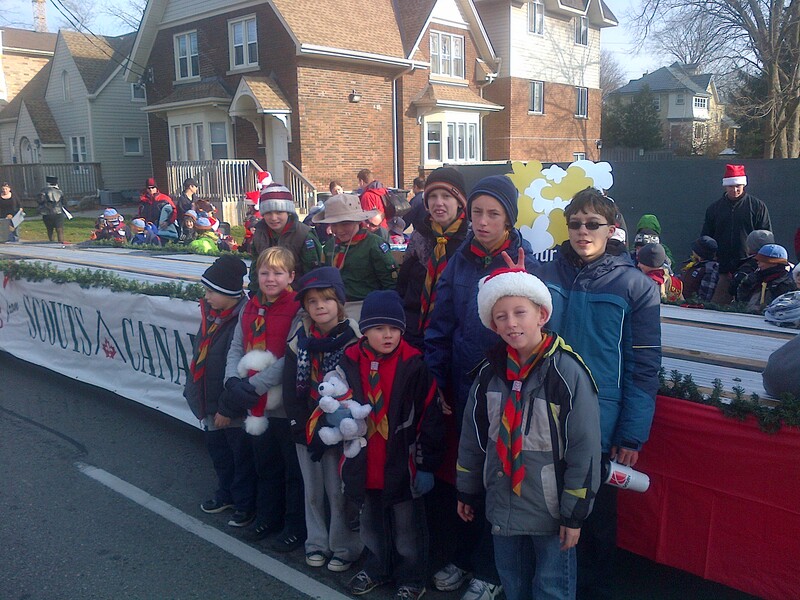 Timber tagged along with our pack as we participated on the Scouting Float in the KW Santa Claus parade, November 2008. Apparently he borrowed a nose warmer from his friend Rudolph. Timber had a great time at Fall Camp. 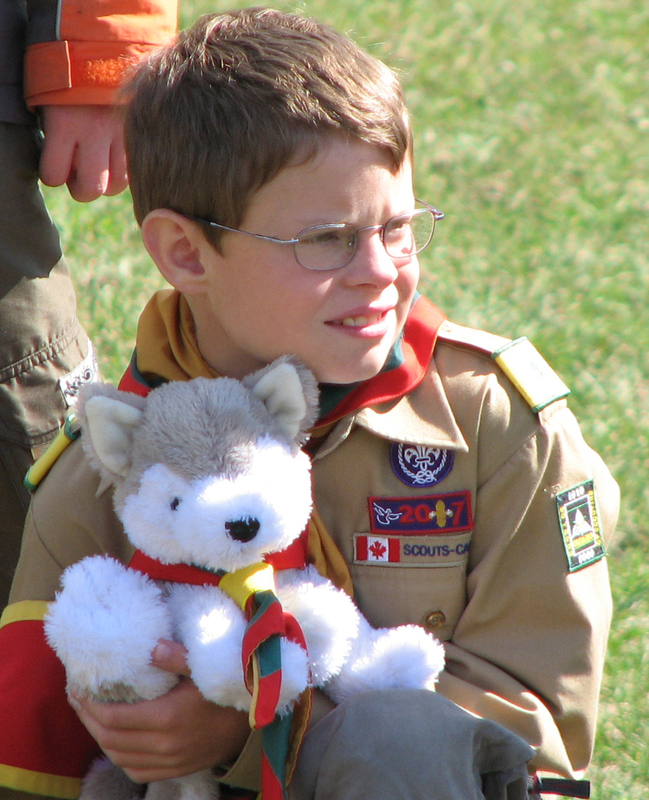 He loved joining in all the games and activities with his Cub friends. The water in the river was just a bit cold though. 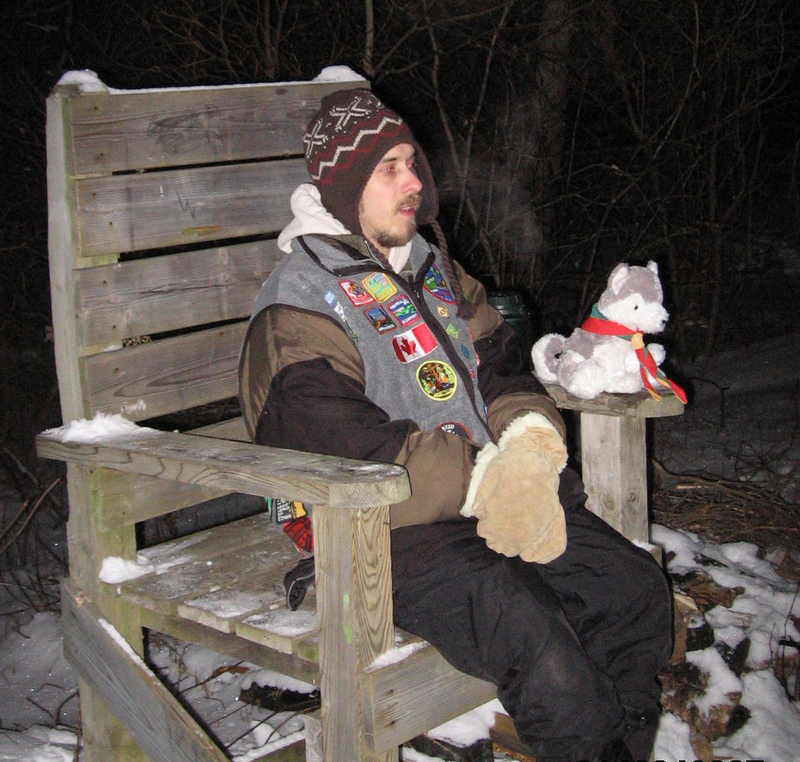 Timber loved all the skits and songs at our campfire at Winter Camp. He helped Akela with his Campfire Chief duties.